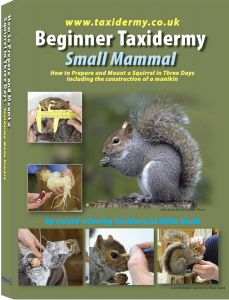 After a lot of tweaking I have now released my "How and Why" PDF Download for Bird Taxidermists. 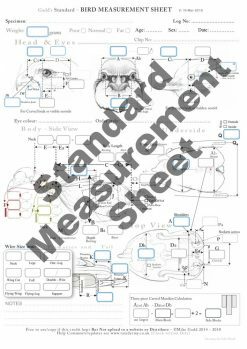 The Measurement sheets have always been free and will be so but due to the time and effort I am making a small charge for the accompanying book. I feel if I was starting agin this would have saved me 10 plus years of struggling, for an absolute beginner it may seem complex but try and understand the idea behind this and it will help. 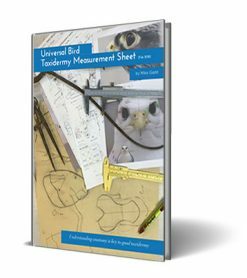 I feel it will be a great help to beginner Intermediate bird taxidermists and advanced. * TBA - Dates are confirmed as soon as a course is fully booked in agreement with all students. Deposits are refundable until dates are agreed and confirmed. You can book a place on a course by just paying 50% now and the remaining 50% to be paid when attending the course (payment by cash, cheque or bank transfer only). This is Refundable until the course date is agreed. Fill in the form on the below and we'll forward details. If you choose the mammal course, a copy of my Beginner Book on Small Mammal Taxidermy is included (you will get £50 refunded if you have already purchased this book). I am also working on a beginner book on Bird Taxidermy and a more advanced book. 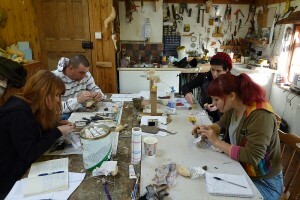 This will be included with the bird course when completed and offered at a discount to past students. By booking, you agree to the following: once dates are confirmed, and you wish to cancel or change dates, your deposit will be lost unless we are able to find someone to take your space. If we do fill your space, your deposit will be refunded or used towards the next course as appropriate less an administrative fee of £50. If we do not manage to fill your space, the balance course fee is still payable which you should claim off your own insurance. Any queries, please ring Mike 01937 844580.